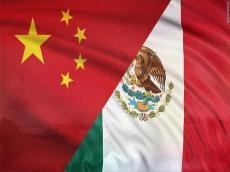 Chinese State Councilor and Foreign Minister Wang Yi spoke with Mexican Foreign Minister Luis Videgaray over the phone late Saturday to discuss international trade, Xinhua reported. During the phone conversation, Videgaray briefed Wang on the recent signing of the United States-Mexico-Canada Agreement (USMCA), saying Mexico is an independent sovereign state and the agreement will neither affect the exchanges between China and Mexico in any respect, nor lead to any restriction on bilateral trade, investment or political relations between the two countries. China is a trustworthy partner for Mexico, he said, adding that Mexico is willing to further develop the bilateral comprehensive strategic partnership. Wang said China and Mexico, as comprehensive strategic partners, have always had mutual understanding, trust and support on major issues. Any bilateral or multilateral free trade agreement should not be directed against a third party or used to restrict other members' legitimate rights and interests, nor should it be in the vein of exclusionism, Wang said. Both China and Mexico are emerging economies and they should work together to safeguard multilateralism and the free trade system, he said.